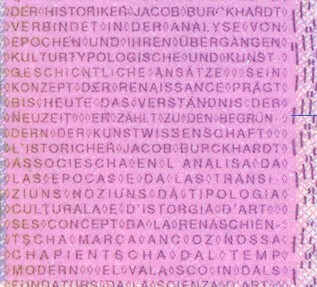 The portrait of the front side of 1000 Swiss franc note shows Jacob Burckhardt (1818- 1897). He is best known for his scientifically sound and aesthetically appreciative studies of the Italian Renaissance. But Burckhardt was also a persistent and far-sighted critic of the state's aspiration for power. Today Burckhardt is admired as a brilliant historian, seminal art historian and prophetic critic of his age. 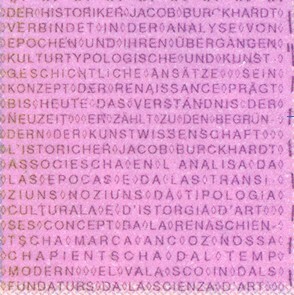 His writings in historiography are literary accomplishments as well as pioneering works that helped to establish art history as a modern academic discipline.